I am the practice principal, I have owned the practice since April 1993. I have a special interest in Aesthetic Dentistry including Smile Makeovers and Orthodontics. 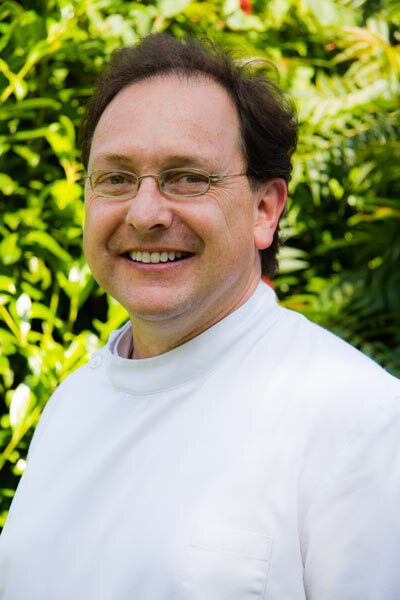 I have over 20 years of orthodontic experience including a part time position in Dr John Mew’s Orthodontic practice for 3 years. I have undertaken many training courses in Orthodontics and Advanced Cosmetic Dentistry with some of the top Cosmetic Dentists from all over the world. When doing a Smile Makeover I use the latest technology – the CEREC where crowns and veneers are cemented on the same appointment – Same Day Smile Makeover. My wife Giselle manages the dental practice.